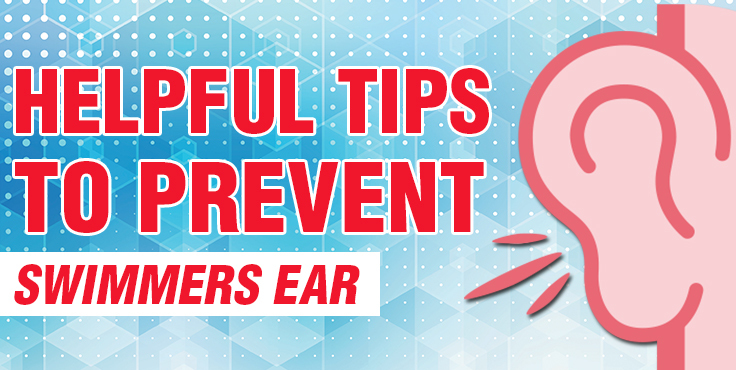 We often get questions about ear infections, why they occur, and what to do for them. Here is a brief article, which will help with these issues. Many people believe that pool water enters the ear and causes an ear infection. That is not the case. The eardrum provides a physical barrier to anything entering from the outside. The Eustachian tube that connects the middle ear with the throat is the normal route of transmission for an infection. Ear infections are often referred to as and Outer Ear Infection (known as swimmers ear) and an inner or middle ear infection – which is not caused by swimming. Can swim with – only reason you may not swim with is if you are on an antibiotic, which may cause diarrhea. These types of infections many times result in ear tubes being inserted. How to prevent swimmers ear? After swimming, dry your child’s ears by wiping the outer ears gently with a soft towel or use a hair dryer. Put the hair dryer on the lowest setting and hold it at least a foot (about 30 centimeters) away from the ear. Consider using eardrops after each lesson. A child’s anatomy has a lot to do with how vulnerable they are to middle ear infections. As children grow and they change physically, they often grow out of the problem. If ear infections are a constant problem, please consult your doctor.